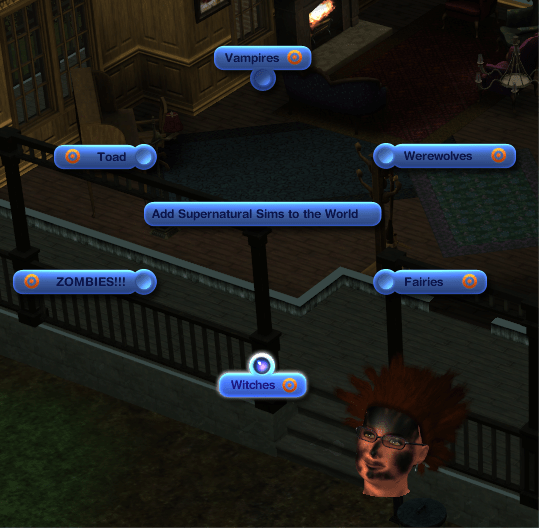 Supernatural also brings us some changes in the UI. There are new options, a collectors journal and something new about the ingame store ads. My assumptions is that most of these will also be in the patch but if that is true for the lunar cycle, I really don’t know. Options are still global for all savegames. 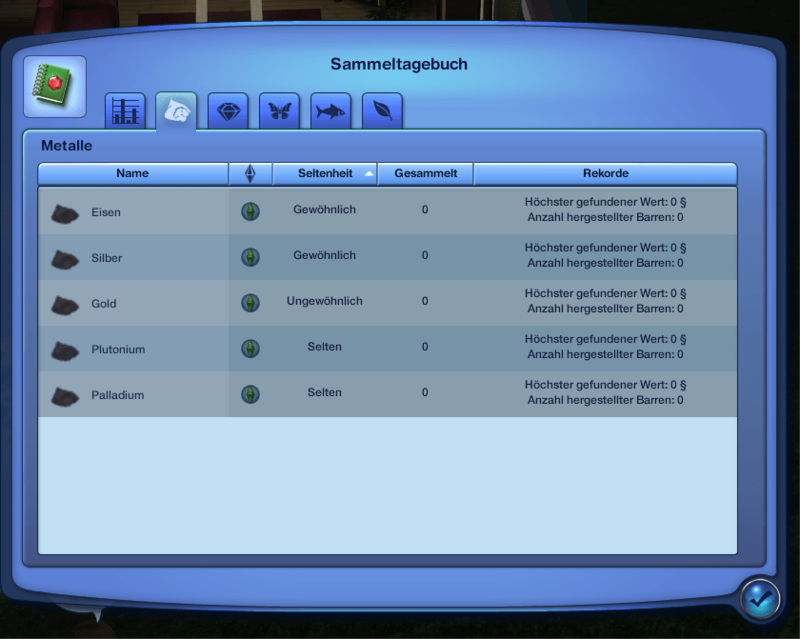 If you want saves with supernaturals and saves without, you need to change the options frequently. You can use AnyGameStarter for this or you can have several Options.ini files which you rename with every savegame you have. 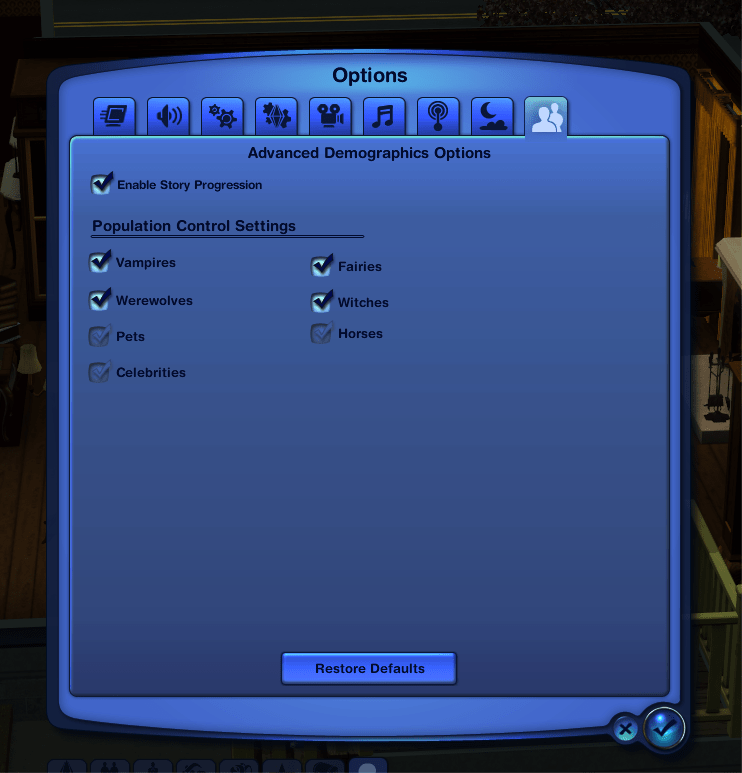 As advertised you can turn certain population groups on and off. EDIT: It seems those options do not go for stray animals. Only adoption. I’m unsure if Pets just contains minor pets or also cats/dogs but as you can see, horses are separate which is good news for all Mac users that have crashes every time a horse shows up. Something I liked very much is the new collection journal. You can finally find out what you have found (and what that one thing you don’t have actually is) very easily – there’s even an icon for the EP it came with. That’s it for having to go collect something just to see your statistics. 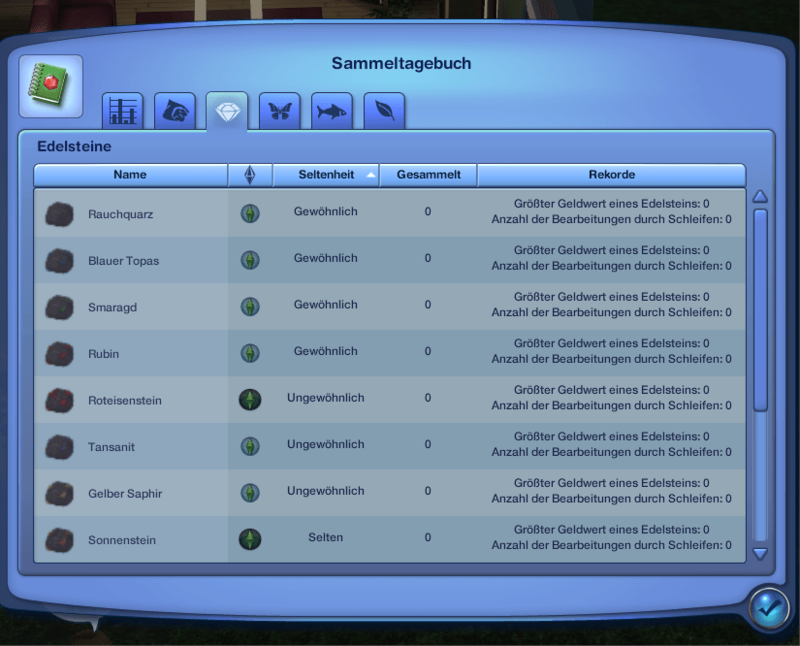 The kind of collections you can have all have their separate tab and you find all kinds of information on it. 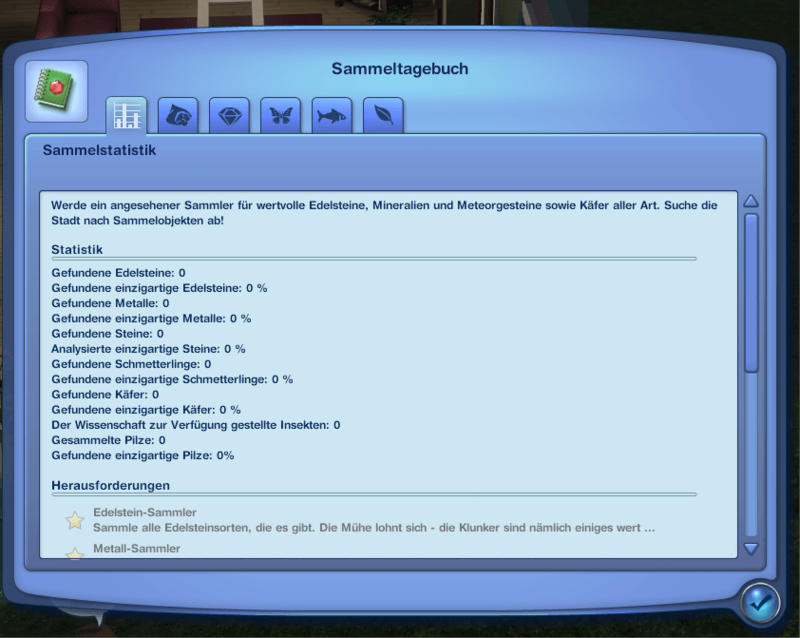 Unfortunatly, I did not check through the cheats thoroughly enough (something I will do better next time) and because of this, I don’t know what and how much is new. If you use static needs, the spell power diminishes nevertheless but it never gets back up – not while you sleep and not with the elixir. There’s also no way to just drag it up. 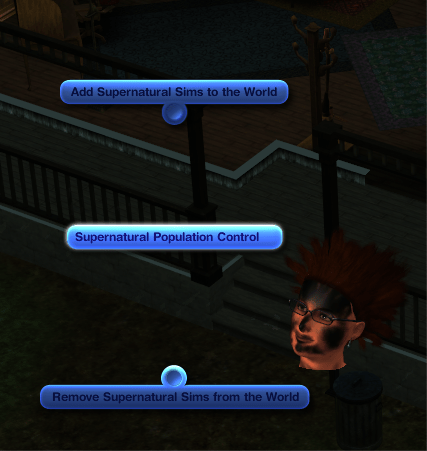 It is possible to add and remove supernatural beings to your world via cheat. 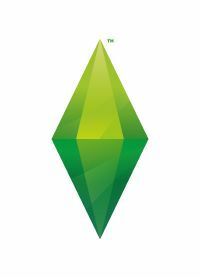 I do not know if that is a new Sim that is being created or if an existing one is turned. It could also be a combination depending on what being you choose. Ben Bell said in the presentation that they let us control zombies via Cheat. When I tried out the zombies at the presentation, they were truly obnoxious. I couldn’t get rid of them by setting the lunar cycle to new moon and I also saw a few during the day. 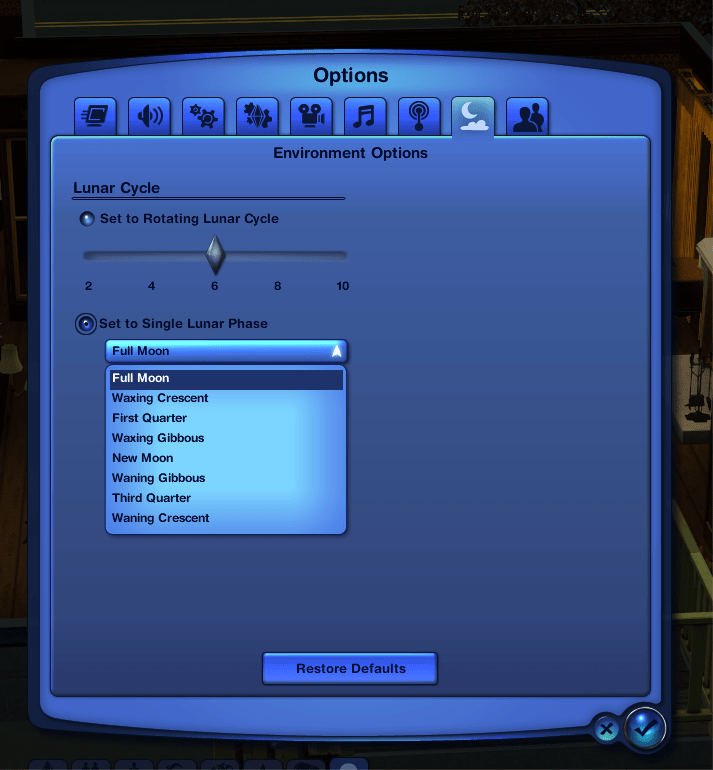 On our search for the mysterious option, we found this testingcheats option (there could be more). If you remove zombies from your world, they do get removed but I’m unsure whether that is permanent or not. The Demo I played had the zombies turned all the way up since the wanted us to see them. How it works exactly is something we need to figure out when the game is out. It should be possible. Zombies are your actual neighbors that get zombiefied and then go back to normal after a while. Because of this, my theory is that they get turned back or zombiefied whenever you use the cheat. Adding a toad had no visible effect but it’s possible that some poor inactive got turned. EA actually made the ingame ads even more shiny and obnoxious. This picture shows build mode with the ingame store turned off. If you turn it on, you get ads they way it always was. If you don’t, I assume you’ll see the sets. I don’t know though cause there weren’t any installed. This was the bad news. The good news is that you only see this when you actually click on the gold button in the middle. If that is turned off, this is how it looks. Thanks to BlackyPanther for finding and checking on the cheat stuff.